The 10.5 x 40" Thin Air Press Kit fits long rectangular luthier projects. Fitted with a Quick-Lock connector, this bag connects with the TUG External valve. Insert your glued veneers into the vinyl vacuum bag, position the breather netting and seal the bag. Connect the 1/4" tubing to both Quick-Lock connectors (on the bag and the TUG External valve). 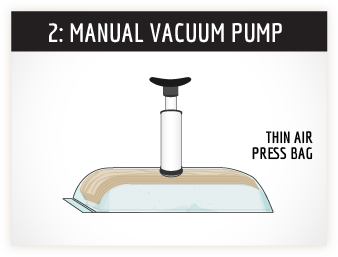 Place the manual pump onto the grey valve and pump the air out. Q: Where do I find out how to bend single sheets of veneer that are used in this video? A: Click this link to see how Behrad does his technique. A: PVA glue and epoxy will not stick to the bag. 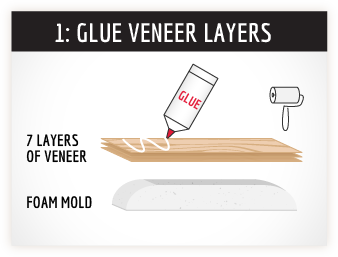 Any dried glue can be loosened with fingers and either shaken or blown out with a shop vac. Do not use polyurethane glue as it will damage the vinyl and ruin the bag. Q: How many pieces can I press at once? A: You are limited by how fast your glue dries. 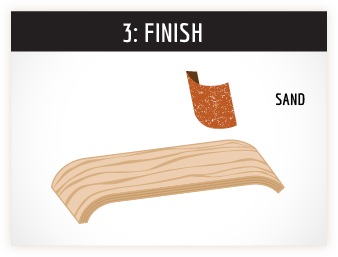 If using slow-set epoxy, you have a generous amount of time to work before it starts to set. If using water-based glue such as Titebond III, you have about 7 minutes to get your project pressed before the glue dries. Dry glue will not bond together.